Pyrrole Red is considered to have excellent lightfastness among organic pigments in its class. Tests in industrial applications have given it scores of 7-8 on the Blue Wool Scale. According to the Australian government's Ministry on Health and Aging, "The notified chemical exhibited low oral and dermal toxicity in rats, did not exhibit toxic effects when administered orally to rats for 28 days, was not a skin irritant in rabbits, was not a skin sensitiser in guinea pigs, was not mutagenic in bacteria and was not clastogenic in CHO cells in culture. However, the notified chemical was a slight eye irritant in rabbits. On the basis of submitted data, the notified chemical would not be classsified as hazardous in accordance with Approved Criteria for Classifying Hazardous Substances ." 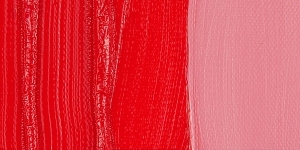 Pyrrole Red, used as an automotive paint and as a colorant in plastics, was developed as one of a range of pigments to replace lead based pigments. 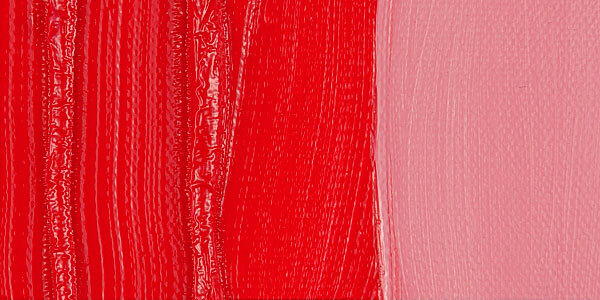 In art materials, it is often used as a synthetic and lightfast replacement for carmine, a laked pigment that was originally produced from the body of the cochineal insect. It is also used to replace the older naphthol reds, organic red pigments that are sometimes only marginally lightfast and weatherfast. Magnacryl Red, Versal Red, Microlith Red, Unisphere Red, Cromophtol Red, Irgazin Red.